Choosing between values based on some condition is a common task. For this, there is an if-else node in xod/core. The COND pin of this node checks the boolean input value. If COND receives true, the node sets the value from the T pin to the R pin. When it receives false, it sets the value from the F pin to the R pin. Change the value of the tweak-boolean node, observe how if-else output chenges. 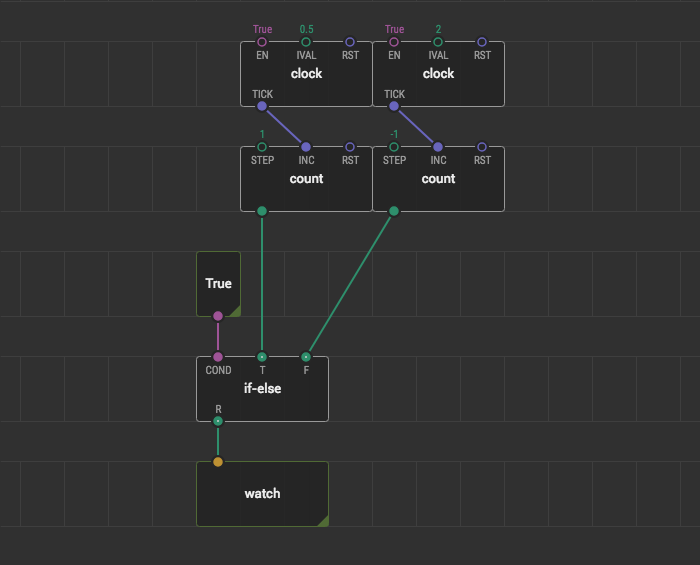 Replace tweak-boolean with a flop-flop with TGL pin connected to a clock.